As explained elsewhere on this site, we started the video business in 1984, initially filming various events professionally. Within a couple of years however, it became obvious that the cine film to video business, which was steadily increasing, was our ‘way to go’. We stopped taking professional filming assignments and our focus became the transfer of cine film to video tape. Before long, we were asked to copy old audio recordings, which had originally been recorded on reel to reel tape recorders, which were very popular in the 1950s and 1960s. 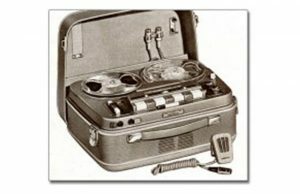 Possibly difficult to imagine in these hi-tech days, but in the 1950s these tape recorders generated huge excitement. For the first time, it was possible to record a person’s voice and to then play it back immediately – MIRACULOUS!! for the time!! “Do I really sound like that? ?” “Let’s record granddad singing” “I’m going to record the latest Elvis song from the radio”. 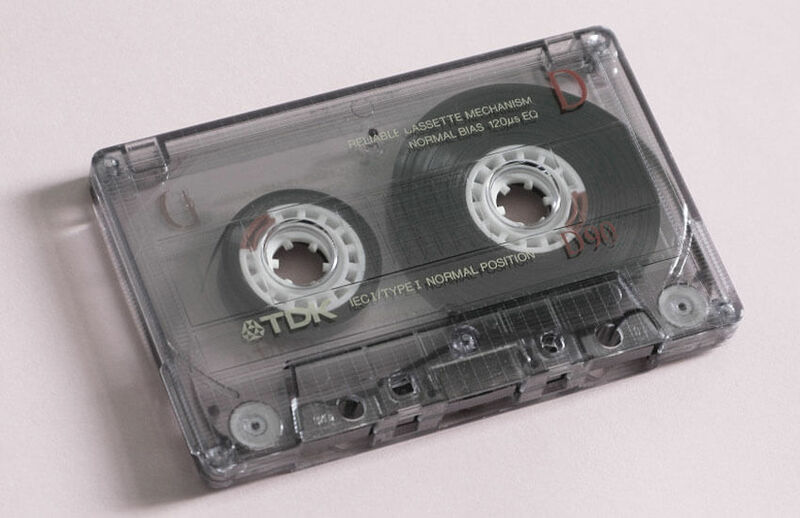 In the 1980s, the tape cassette became the industry standard for publishing music and virtually everyone had a cassette tape player, and most of those machines could also record on to blank tape cassette. Thus initially, our audio tape copying service was simply from reel to reel tape to tape cassette and later on the CD player became popular. Often, a customer has discovered these old reels when clearing out a house following a family bereavement. Sometimes, they are labelled with details of what is recorded on them, more often, they are not! They could have been originally recorded at any one of three recording speeds which were available.viz: (One and seven eighths inches per second, Three and three quarters i.p.s. And finally seven and a half i.p.s.). 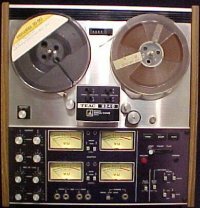 The recordings can be twin track (most common) or 4 track if the recorder was sophisticated. We can handle all of these types and our price for copying to CD is £20 per reel for twin track (however long running) and £40 for 4 track (however long) Customers can send their tapes in for appraisal without obligation, we will check the speed and number of tracks and report back. Sometimes a customer will say “it’s ridiculous that the small spool I sent costs as much as the much bigger one” The point is that if the small spool is recorded at the slowest speed, it will run for longer than a much larger spool recorded at the fastest speed. After much earlier experimenting with different price scales we settled on the simplest one! Similarly, the audio cassette recordings can vary in length. These are copied to CD for £10 per tape – however long it is and however many CDs it takes to accommodate the recordings. 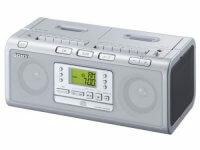 An audio CD will accommodate 80 minutes of recording. … or Click Here to go to the Order Form download.